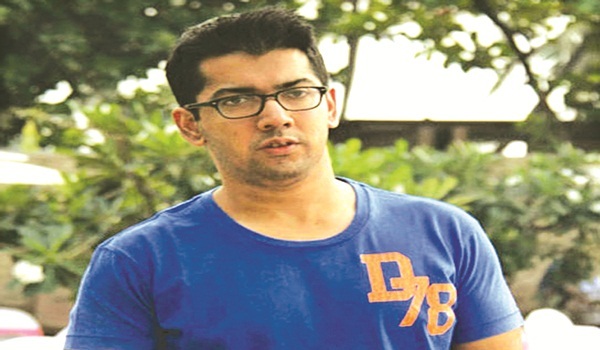 Four years ago, at the time of the release of his debut film Desi Boyz, director Rohit Dhawan had told me what was on his wish list. Right on top was a desire to make an action film followed by the wish to work with two actors a�� brother Varun and childhood friend Ranbir Kapoor. With this weeka��s release Dishoom, Rohit scratches off two of those desires. A buddy cop film and action comedy, Dishoom stars Varun Dhawan along with John Abraham, Jacqueline Fernandez and Akshaye Khanna. Back then, Rohit said that his induction into filmmaking was a result of growing up on the sets of his father David Dhawana��s films. It was an a�?unintended education that happened at home,a�? he said adding that the front row seats to the filmmaking process gave him a reality check early on. a�?I realised at a very young age that this profession is not glamorous; it is not what it looks like. I also saw how long drawn the process was. I clearly saw that this is not an easy job and you do bring your work home.a�? amusement and intrigue to plain bewilderment, largely for how tacky it looks and for its length which seems to give the entire story away. But fans of international wrestling and the multiple Oscar-winning movie, Mad Max: Fury Road, are flummoxed by the casting of Nathan Jones. Australian strongman Jones played baddie Rictus Erectus in the crazy dystopian action drama. So to see him getting pummeled by young Tiger Shroff is a bit of a shocker. While Dishoom is clearly heavy on testosterone, Jacqueline Fernandez adds glamour and romantic interest. Fernandez seems to have cornered the market on playing army candy with little intelligent contribution to the narrative, as seen in Kick, Bangistan, Housefull 3 and the upcoming A Flying Jatt. Not that it seems to bother her. After all, movie-making has fringe benefits, such as visiting destinations on your bucket list. So while Dishoom was being shot in Morocco, Fernandez was able to take time off to visit the city of Casablanca. For an actress who prides herself on her social work, fitness and comes across as a thorough professional, one wonders why she isna��t choosing roles that challenge her acting skills. Perhaps one needs to wait and watch what she has pulled off in director James Simpsona��s British horror-thriller, Definition of Fear, which has so far screened at only a few second-rung film festivals.